In 1921, Doctor Aureliano Urrutia, an accomplished physician, built a garden at the northern edge of San Antonio. Located at the corner of Hildebrand and Broadway, it was an expression of his connection to his native Mexico. For the next 10 years he added fountains, pools, pathways, sculptures, a towered library, and a small cottage. 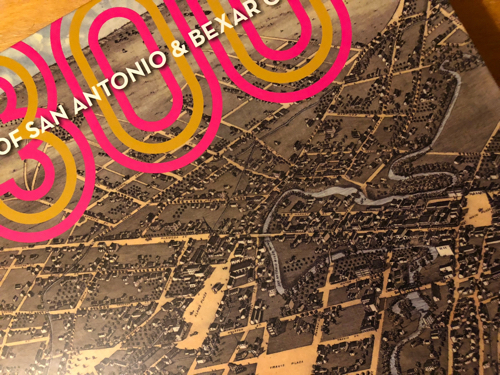 His large family participated actively in San Antonio's civic life, and he served thousands of citizens through his medical practice. After 1960, when the property was sold to corporate owners, the garden suffered from neglect and active destruction. What remains of Miraflores is now a 4.5 acre of land near the headwaters of the San Antonio River. Although it was a creation worthy of saving, it cannot now be replaced. What is the significance of Miraflores? And can what is left of it be salvaged in any way and presented in an appropriate and thoughtful manner? Read more about Dr. Urrutia and Miraflores in the Rivard Report.